The art of tattooing has seen a shift in the past two decades. With reality shows and a cultural change, getting inked no longer principally attracts bikers or members of countercultures, but a large swath of diverse consumers. This shift has flooded tattoo shops worldwide with people wanting to decorate their bodies and tell a story of who they are. This has spawned more tattooers who supply the demand. Along with these new waves of artists, there’s a vast pool of immediately available tattoo imagery and media via the internet. Three local tattoo artists and shop owners living and working in Salt Lake—with longstanding positions in local tattooing and hardy skills in their trade—respond to these Information Age changes in their own ways while they steward new generations of tattooing apprentices. 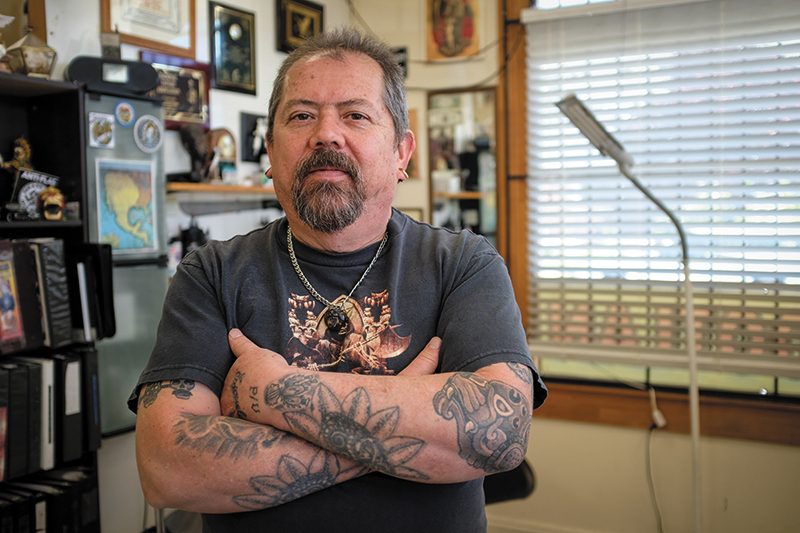 Sergio Reynoso, owner of Tattootlan on 1860 S. Main St., sits in his small shop, which is covered in skulls, Santa Maria icons, crucifixes and other relics of his Mexican heritage—a core style of tattooing in which Tattootlan specializes, though they can ink any kind of style. Reynoso began tattooing at the age of 12 in 1976 while in Mexico, using tools he built and taught himself how to use. “Back in the days, there were no suppliers,” Reynoso says, “so you had to improvise your tools.” Reynoso came to Salt Lake City in the mid-1990s to enter the tattoo scene. He got his start working at ASI Tattoo & Artistic Skin Illustrations, one of the oldest shops in Salt Lake City, and eventually left to open Tattootlan in 2000. Since then, Reynoso has seen a shift in tattooing as being more culturally accepted. “Back in the day, people used to think only lowlifes were getting tattoos,” Reynoso says. “Right now, I tattoo nurses, teachers, cops … a lot more types of people.” With this shift, Reynoso fears that certain aspects of the art are dying and hurting tattooing as a whole. When he was learning to become a tattoo artist, Reynoso says that he was guided with a hands-on approach and had to learn every aspect of tattooing, from building machines and needles to drawing designs. With the high level of saturation of people wanting to learn and apprentice, Reynoso believes that tattoo artists may not be given the time and the guidance from their contemporaries that they need and are rushed before they have time to hone their craft. 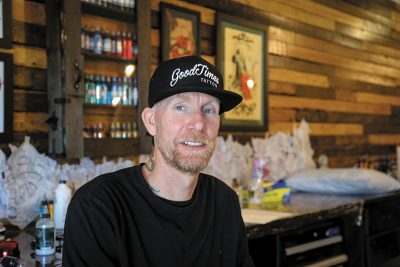 GoodTimes Tattoo on 1249 S. 900 East has an open, welcoming vibe with artwork of many different styles covering the walls. The central area of the shop resembles a bullpen, sporting an open layout with waist-high walls separating each tattoo area. Colby Burleson opened GoodTimes in June of 1999. Burleson, a Utah native, did his apprenticeship in Salt Lake City at Susie M’s, then went on to open GoodTimes three years after. 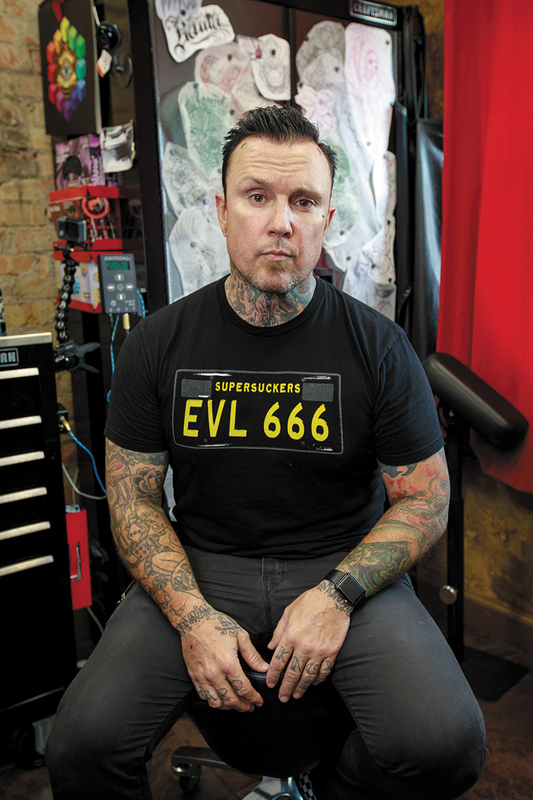 Like Reynoso, Burleson saw a significant shift in tattooing and tattoo culture shortly after he opened his shop. “Large-scale [and visible] tattoo work was not nearly as common as it is today,” Burleson says. He attributes part of the change to the increase in information that became available after the advent of the internet. Though Burleson recognized the high saturation of tattooing in today’s culture, he says that all of the shifts are not bad. “I used to have to go to a dingy magazine shop to get a tattooing magazine once a month,” Burleson says. “And even then, some of the tattoos in the magazine weren’t great. Now I can open my phone and see a thousand sick tattoos right this second.” Burleson says that the availability of information has changed the amount of time it takes for someone who is learning to tattoo to begin to create quality work. “When I was taught, it took more time,” Burleson says. “It was like, ‘Watch me tattoo, here is a tattoo gun, now go do it yourself.’ Start an apprenticeship now, and these guys are light-years ahead of where we started.” In many ways, Burleson has embraced the changing climate of tattooing—his shop is equipped with contemporary approaches for tattoo design and drafting. Artists bustle in and out of the backroom of his shop, using printers and iPads to quickly create new work and ideas. From wall to wall in the back room of GoodTimes, artists have posted beautiful pieces of intricate art, which Burleson says were almost unheard of nearly 20 years ago. Tattooing is continually growing and changing. With the guidance and legacy of old-school tattooers in Salt Lake City, the ability to find passionate tattoo artists who curate shops with high-quality work is not going away anytime soon. 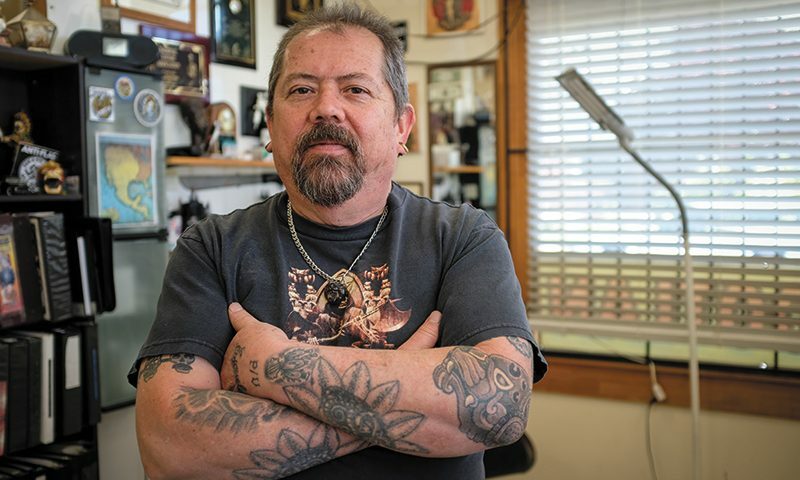 While the art of tattooing may grow and change, Reynoso, Burleson and Rich D are sure to remain as pillars of Salt Lake City tattooing, passing their ideas—traditional and new—to future generations of tattooers.